We have been hearing about a notification center in the upcoming version of Windows Phone for quite some time now. These new leaked photos give us a look at what that might look like. 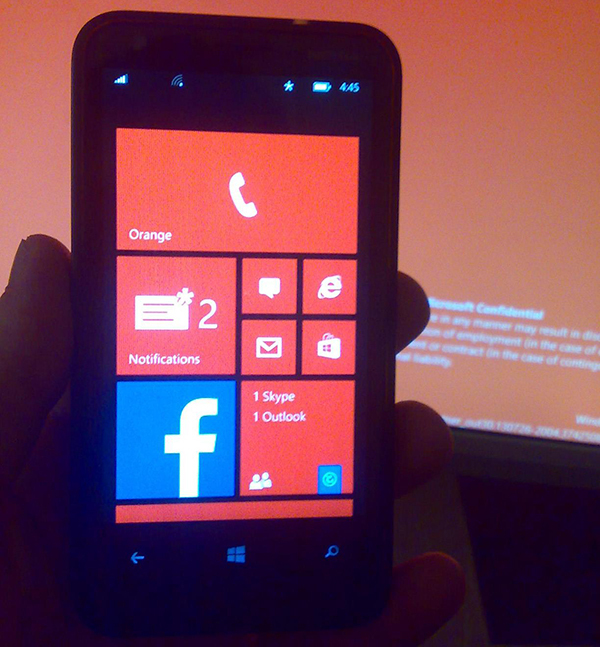 Windows Phone 8.1, as it will allegedly be called, will have a live tile as your notification center. The tile, it seems, will simply show you the number of notifications that are pending without specific details. The Windows Phone live tiles were originally a means of conveying notifications without having a separate notification center but it made easy to miss a notification from an app that you don’t have on the homescreen. This new notification center will give you one place to see all your notifications even if you missed them or don’t have a corresponding live screen pinned. The Windows Phone 8.1 update is still some way off but Microsoft will be releasing a GDR3 update in the interim. whoa a very innovative and useful upgrade here from microsoft. finally i can get notifications on my windows phone!